Sharon has worked as a professional archaeologist in California and Nevada since 1979. 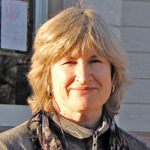 Her positions have included District Archaeologist and Assistant Forest Archaeologist with the Eldorado National Forest (five years); Resource Area Archaeologist with the Bureau of Land Management, Arcata (two years); Staff Archaeologist at the Cultural Resources Facility, Sonoma State University (three years); and as Principal Investigator, Field Director, report author, and general editor with Far Western since 1991. She is a Registered Professional Archaeologist, a member of the Society for Historical Archaeology, and a Lifetime Member of the Society for California Archaeology (SCA). Ms. Waechter is also past Editor of the SCA Proceedings and the SCA Newsletter. Sharon’s professional experience encompasses both northern and southern California, from the Pacific coast to the eastern front of the Sierra Nevada, and into western Nevada. 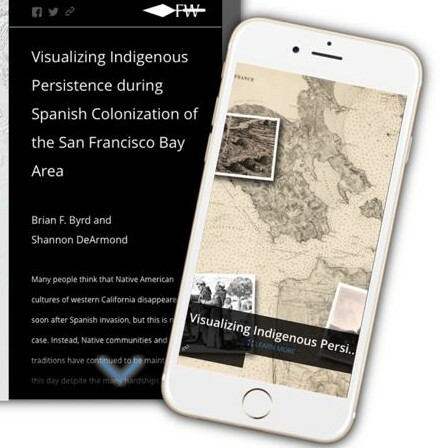 Her areas of special expertise and interest include 1) the archaeology and history of the Truckee/Tahoe region and the north-central Sierra, from Amador to Plumas counties; and 2) public education and interpretation. Her work includes many archaeological surveys, site evaluations and mitigations, environmental documents, management plans, web-site articles, Native American consultation, agency consultation, and public education/interpretation products. Sharon has extensive experience in both prehistoric/Native American archaeology and historical archaeology. She holds an M.A. in Anthropology and an M.A. in English/Creative Writing, both from the University of California, Davis. Project Director/Historical Archaeologist. Survey and National Register evaluations at two major historical sites (Boca Townsite and CCC Camp Boca) and four prehistoric sites at Boca Reservoir, Nevada County, California. For MWH Global, Bureau of Reclamation (Mid-Pacific Region), and Tahoe National Forest. Hot Rock Technology in Washoe Territory. In No Stone Unturned: Recent Trends in Ground Stone Studies in the Great Basin and Beyond, edited by Renee Kolvet and Meridith Rucks, pp. 21-28. Nevada State Museum Anthropological Papers No. 27. Carson City, Nevada. The Archaeological Perspective. In A Place Called Tasegetu-Tubewabeg’ayoo: A Compendium of Perspectives on the Culture and Archaeology of Hungry Valley, Nevada. Reno-Sparks Indian Colony, Reno, Nevada. With M. R. Eben, G. Bengston, and D. C. Young. Synthesis of archaeological research in Hungry Valley, Washoe County, Nevada. Reduction Strategies and Geochemical Characterization of Lithic Assemblages: A Comparison of Three Case Studies from Western North America. American Antiquity 72(3):585-597. A Record of Cultural Upheaval: The Late-period Residential Pattern in Crooks Canyon. In Boundary Lands: Archaeological Investigations along the California-Great Basin Interface, edited by Kelly R. McGuire, pp. 61-74. Nevada State Museum Anthropological Papers No. 24. Carson City, Nevada.